Damn it! 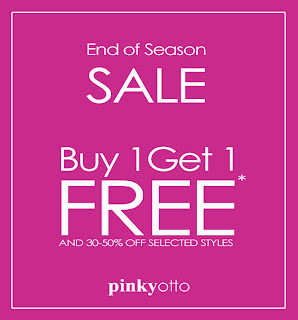 I'm so mad I did my Pinkyotto sale shopping already, because it's now buy one get one sale item free! And last time I was in the store, there was quite a huge selection of sale items to choose from. I'd suggest heading over to 156 Newbury Street ASAP.